Tso Moriri or Lake Moriri or "Mountain Lake", is a lake in the Ladakhi part of the Changthang Plateau (literally: northern plains) in Jammu and Kashmir to the north of India. The lake and surrounding area are protected as the Tso Moriri Wetland Conservation Reserve. The lake is at an altitude of 4,522 m (14,836 ft). 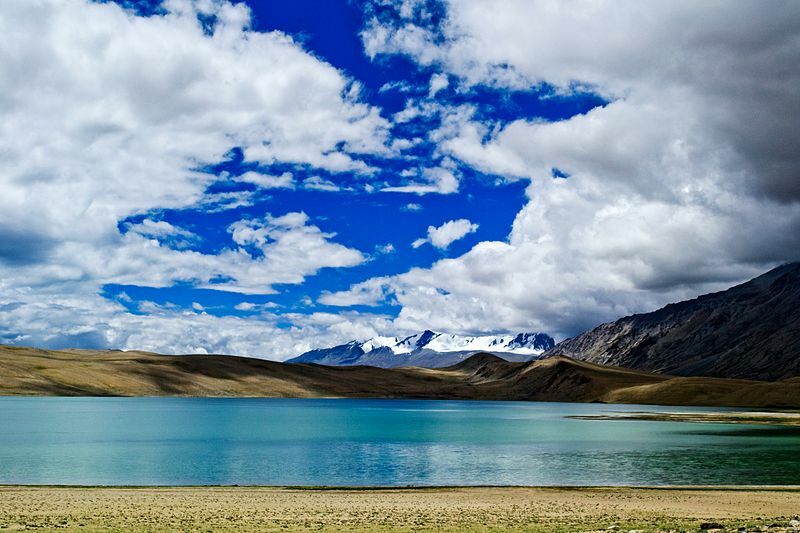 It is the largest of the high altitude lakes entirely within India and entirely within Ladakh in this Trans-Himalayan biogeographic region. It is about 16 miles (26 km) north to south in length and two to three miles (3 to 5 km) wide. The lake has no outlet at present and the water is brackish though not very perceptible to taste. The lake is fed by springs and snow-melt from neighboring mountains. Most water enters the lake in two major stream systems, one entering the lake from the north, the other from the southwest. Both stream systems include extensive marshes where they enter the lake. It formerly had an outlet to the south, but this has become blocked and the lake has become a endorheic lake. The lake is oligotrophic in nature, and its waters are alkaline. Accessibility to the lake is largely limited to summer season, though Karzok on the northwest shore and the military facilities on the eastern shores have year-round habitation. The lake is located to the southeast of Leh in eastern Ladakh, Jammu & Kashmir, at a road distance of 240 kilometres (150 mi). The road is in a good condition for the most part. 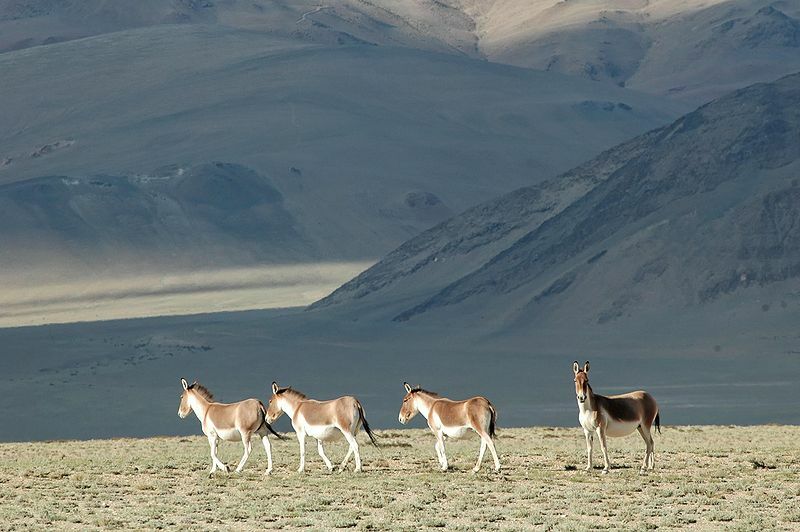 One can also reach Tsomoriri directly from the Pangong Tso via the remote Changtang region. This is considered to be one of the most beautiful drives in the entire Ladakh region. Foreigners are not allowed to go beyond the Man - Merak villages on Pangong Tso as permits are not issued for them. The distance between Pangong Tso and Tso Moriri is 235 km and there are no petrol pumps in the area. Carrying enough fuel is therefore necessary. Leh is also connected by air with many destinations in India.